I had thought that my Pius series had gone through a lot of changes over time. 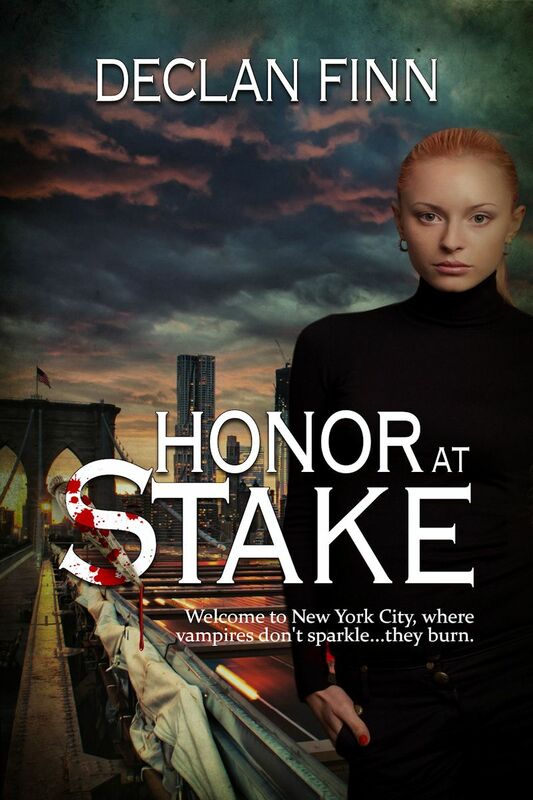 I never expected that Honor at Stake would try to catch up. But then again, Honor at Stake is the only book of mine to have two publishers, and be pulled from the shelves twice. 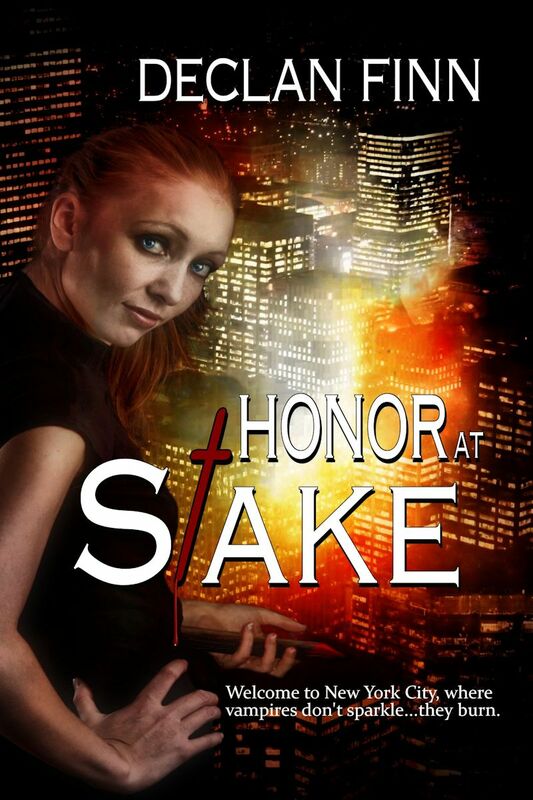 The first time Honor at Stake was released, it was with Damnation Press. It took a while to pound out a cover. 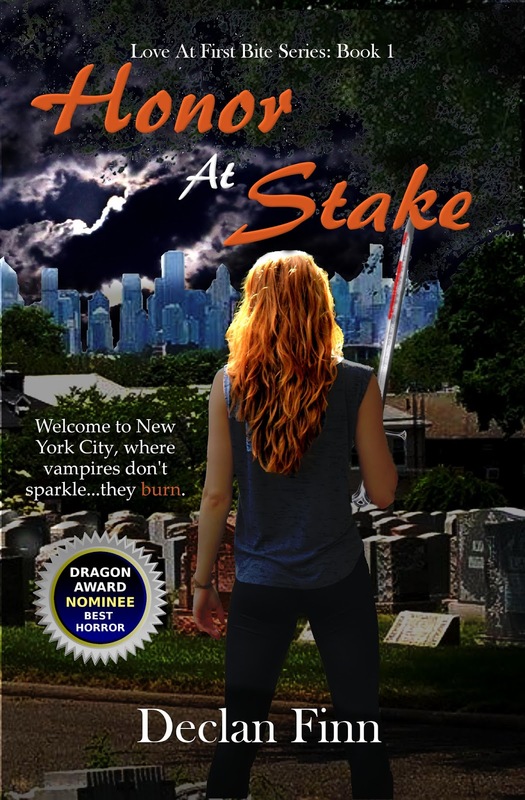 The first Honor at Stake cover they sent me was .... eh. The image on the left was the first one that had been sent my way from Damnation. I had to ask for some changed. The end result was the one on the right -- which I believe we can all agree is the better cover, if only for the clarity of the title alone. And, really, the second one was okay. My biggest problem was the lilac colored binding. Yes, really. Then there was when entirely self-published the series. There were multiple reasons for it -- speed being the first one. The novel had been unpublished, pulled from shelves, and then put back on Amazon within the space of a week. A large part of the delay on the first rerelease was generating a cover. I've done posts on covers I've created myself. Had I known that self publishing was this much in my future, I would have minored in computer graphics. However, Dawn Witzke had already done several cover redesigns on The Pius Trilogy when I self published it (I suspect in part because they were cringe-worthy and she couldn't stand the sight of them). 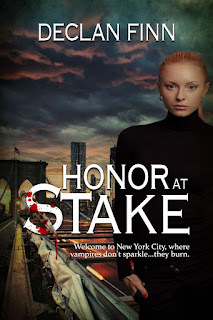 So she was almost eager to do Honor at Stake. I sent her multiple images from the local cemetery, Mount Olivet, which is where the major battle of the novel took place. I took over 700 pictures that day, and barely covered it. The picture on the left isn't the exact image used for the book cover, but it's in the ball park. On the right ... well, it's amazing what you can do by changing the lighting and adding a few clouds, isn't it? And then Silver Empire signed on the Love at First Bite series. And this is the brand new cover. Personally, though, I think I'd have been happy with just the redhead, but you really can't exclude Marco from the cover. 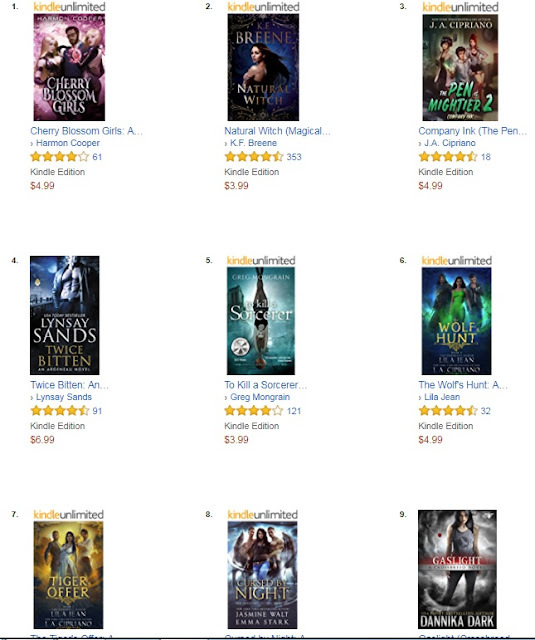 The gist of this is to make Marco look sinister and threatening ... because that's really how he looks for most of the book..
And before anyone tries to critique the book let me show you an image of the current bestsellers in "Thriller / Paranomal suspense / vampires," as of the time of this writing. So, yeah. I'm good with the Honor At Stake cover from Silver Empire. Definitely the best cover. Will be picking this series up when it is released again. I missed it before.